Toniele is Qld’s top trainee! SU Qld extends a big CONGRATULATIONS to one of our 2010 graduates, Toniele Brennan. 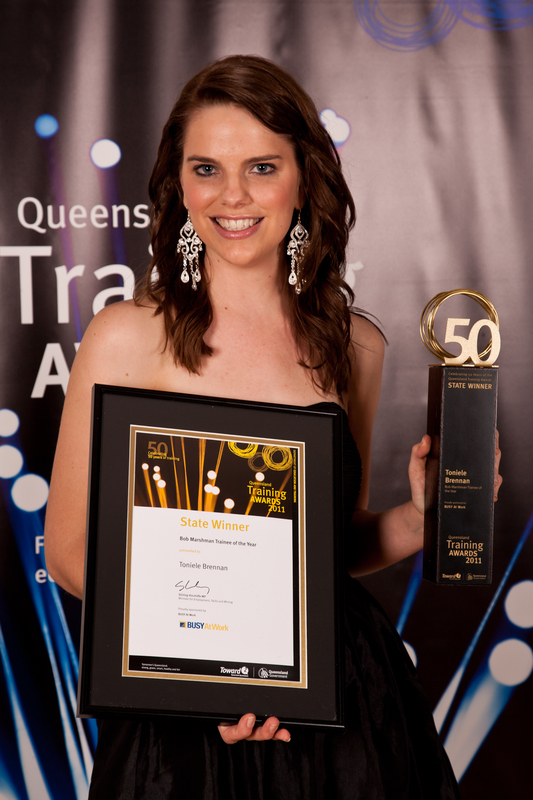 Toniele recently took out the top prize as the state’s Trainee of the Year at the 50th Annual Queensland Training Awards. Having previously won the title for her region, she was up against 6 other regional winners who had also completed traineeships in 2010 in areas such as Civil Construction, Agriculture, Business and Sport. “I am excited about the opportunity this achievement brings me now and in the future. This award I believe is a great recognition and promotion for the social and human services industry as a whole, and I look forward to representing this industry at the Nationals in November. SU Qld is a Registered Training Organisation (RTO). We aim to equip those working to support young people in variety of contexts including school, community and church based services.